Protein can help in maintaining a healthy weight, building muscle and fueling physical activity – all of which play an important role in a healthful lifestyle and disease prevention. The body of scientific evidence continues to grow in support of a balanced and varied diet that includes lean meat as a key to long-term health. Calorie-for-calorie, beef is one of the most naturally nutrient-rich foods. On average, a 3 oz. serving of lean beef is about 150 calories yet it is an excellent source of six essential nutrients: protein, zinc, vitamin B12, selenium niacin and B6 and is a good source of four essential nutrients: phosphorus, choline, iron and riboflavin. Many of Americans favorite cuts are lean, including T-Bone, Tenderloin, Top Sirloin, and more. Beef gives your body more of the high-quality protein you need to achieve and maintain a healthy weight and preserve and build muscle. Click here to learn more about protein benefits. For more information on including lean beef in your diet, visit www.beefnutrition.org. Research shows spreading protein intake evenly throughout the day may be most beneficial for overall health and wellness. Learn how Shelley Meyer fuels her active lifestyle with the protein packed power of beef. 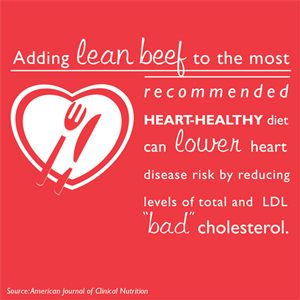 Eating lean beef daily can help lower cholesterol as part of a heart-healthy diet and lifestyle. Beef gives your body more of the nutrients you need. Do more than just get through the day. 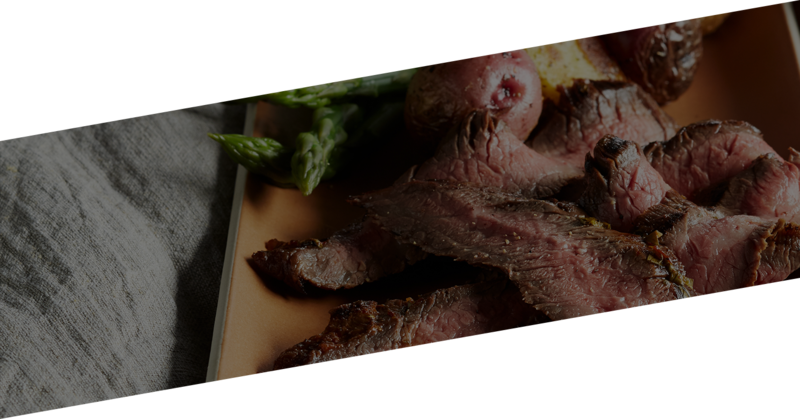 Experience dinner in a whole new way and fuel your active family with beef! Check out the OBC YouTube channel for more beef videos! Nearly half of the protein you need and 10 essential nutrients for about 150 calories per 3 oz. serving? Believe it. That's the POWER of lean beef.